‘The Gazpacho slakes the thirst, wipes out the hang over and cheers up the heart”. Under the burning sun, a cool gazpacho, kept in a thermos flask, turns out to be much healthier alternative than beer and soft drinks. One of the most popular recipes of the Spanish cuisine, the gazpacho, literally mixes with the music presented in the book of Mario Suarez and Ricardo Cavolo, Cocina Indie. The book also includes pictures and albums for various people. 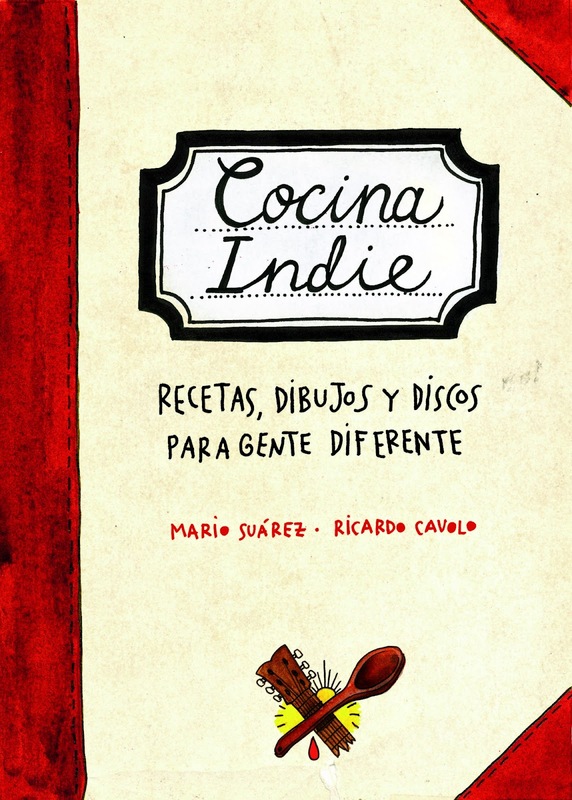 The journalist and specialist in fashion, gastro- and art-tendencies, Mario Suarez, and the artist Ricardo Cavolo managed to reconstitute 90 recipes – easy for cooking, illustrated with a sense of humor, and mingled with favorite Spanish and international rock- and hindi- singers, such as Sonic Youth, David Bowie, etc. Between the ingredients and the instructions provided for cooking, the indication of “press play” is included. The book begins with a quote of Keith Richards – “Music is a necessity. After food, air, water and warmth, music is the next necessity of life”. Sitting at the local cafeteria, the two authors (unfamiliar with each other during that time) came up with the idea to create an extraordinary recipe book. Mario dealt with the trying of the dishes, most of which taken from his mother’s, grandmothers’ and ants’ recipe books, and Ricardo, responsible for creating inspirational illustrations. 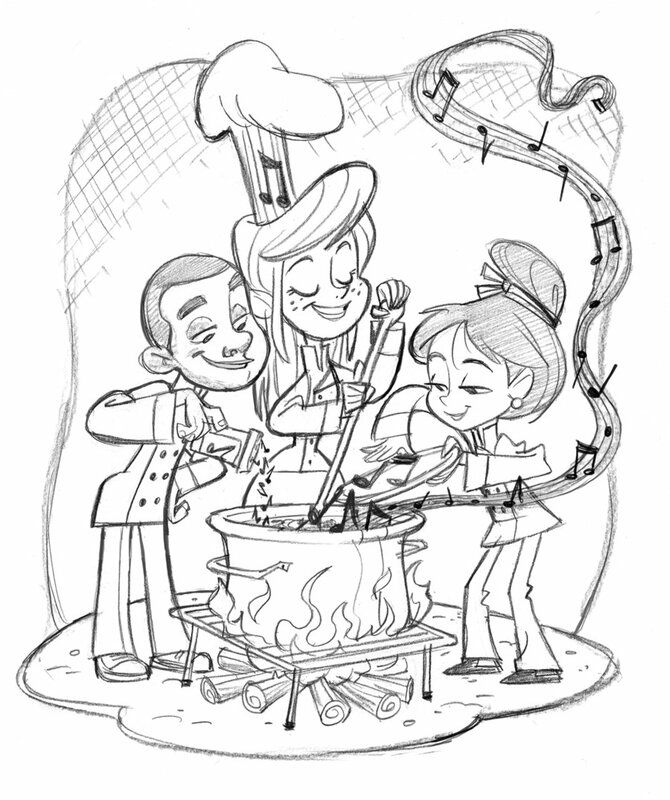 However, even till today, Ricardo admits that it is not cooking his favorite hobby, but tasting already tested recipes. For example, while cooking ‘Paella Royale’, you are supposed to listen to the The Caspers: Get in your mind that nothing is what it seems, and when all of the ingredients are already put in the paellera (a special tin used only for this dish), you stir them with a wooden spoon, under the sounds of the 20-years old musicians. To sum up, dear readers, the truth is that in order to cook “aubergines with ‘love’ and ‘cheese’, or ‘optimistic salmon in sauce’, you only have to press ‘Play’.